For the brief period it was on sale, the Mercedes-AMG G63 6x6 was stupidly expensive. Punters were expected to stump up £380,000 for what was, in effect, a giant Tonka toy with little use in the real world. Regardless, we all still wanted one, didn’t we? And if you fancy something similar for a more real-world figure, there’s just the vehicle for you on eBay right now. 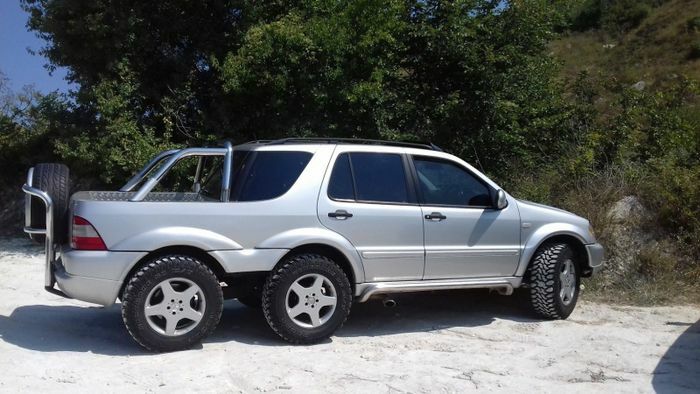 It’s a Mercedes, it has plenty of ground clearance and it has six wheels. 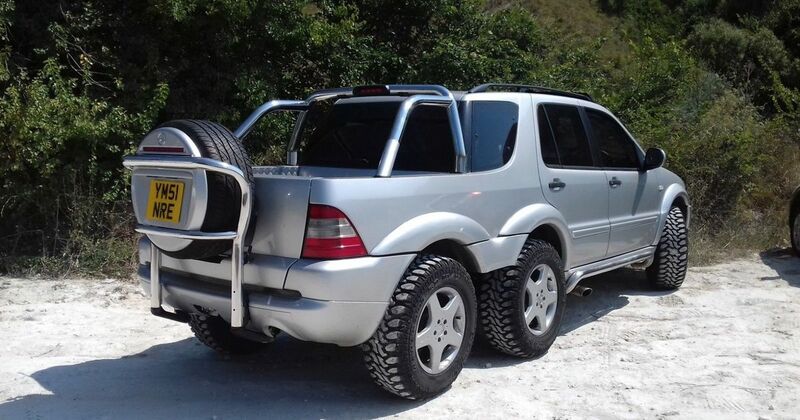 So it’s pretty much a G-Wag 6x6, right? Well, not quite. It’s based on an ML, for one thing, and it’s not a 6x6 - only four wheels (presumably the ones that were there originally) are driven. It’s very much a bargain-basement version of the maddest ever AMG, and while the elongated pick-up rear doesn’t look all that slick in places, we can’t help but admire the absurdity of the thing. 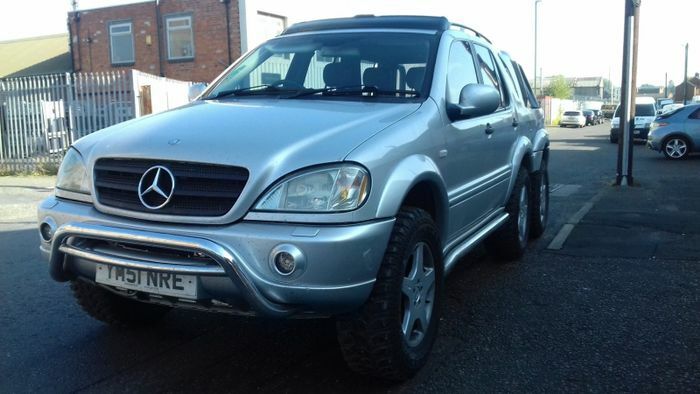 It’s listed as an ‘ML AMG’, but it isn’t - it’s powered by a 3.2-litre V6 rather than a rumbly V8. It does, however, have an AMG bodykit and six AMG wheels. It’ll even be reasonably inexpensive to run, since it’s been fitted with an LPG kit. Hello 60 pence per litre fuel. Frustratingly, there’s a complete lack of detail in the advert about the conversion itself. For such a bespoke - and bonkers - project, ideally you’d want to know all about who did the work and how. And why. Perhaps with a little nudge some pictures of the process might be available from the buyer. The price for all this? 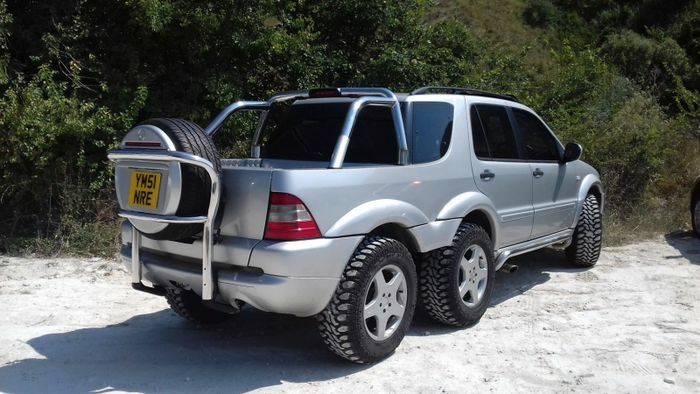 A rather strong £19,995. Hat tip to Chris Pollitt!